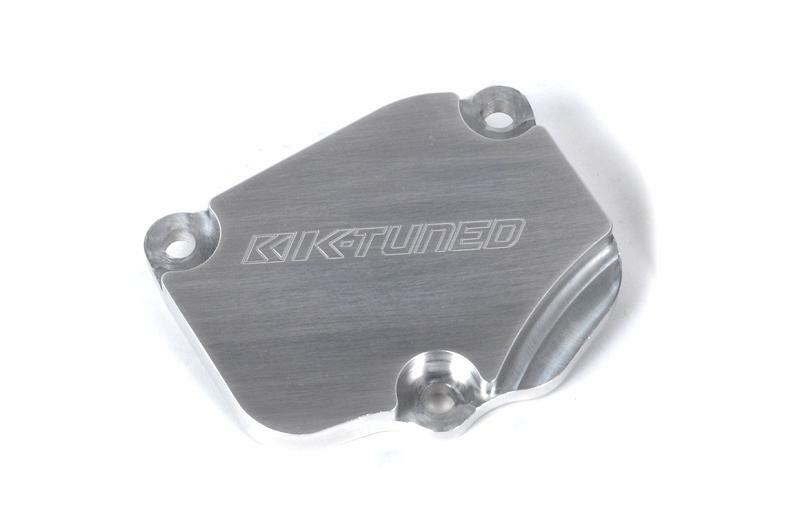 KTD-TEN-COV - K-Tuned Tensioner Cover - Pann Auto Performance - San Diego largest aftermarket automotive performance parts - What do you drive? The K-Tuned Tensioner Cover Plate is designed with a simple o-ring seal that is set into a machined groove on the back of the cover. 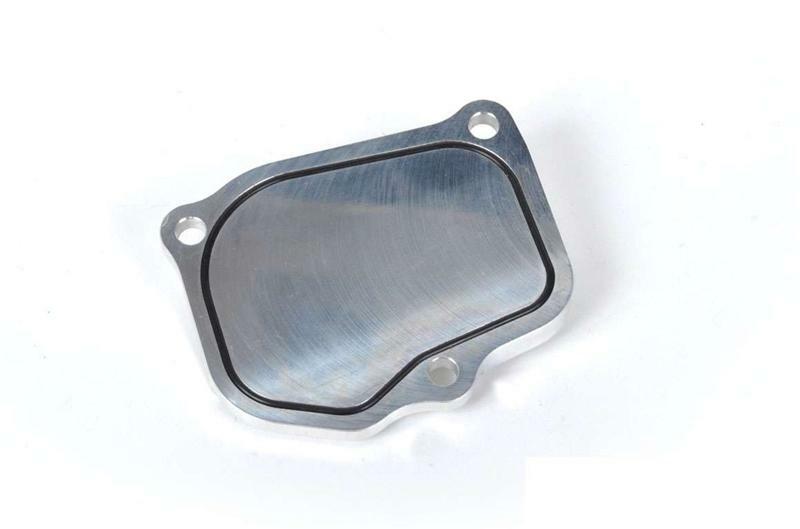 This o-ring seal design makes timing chain tensioner checks and changes much faster and easier because it completely eliminates the need for messy sealer which we all know is a pain to clean off. Worse yet, the OEM stamped steel cover plate often needs to be replaced because it usually bends when it is pried off the chain case. So why is checking the chain tensioner so important? 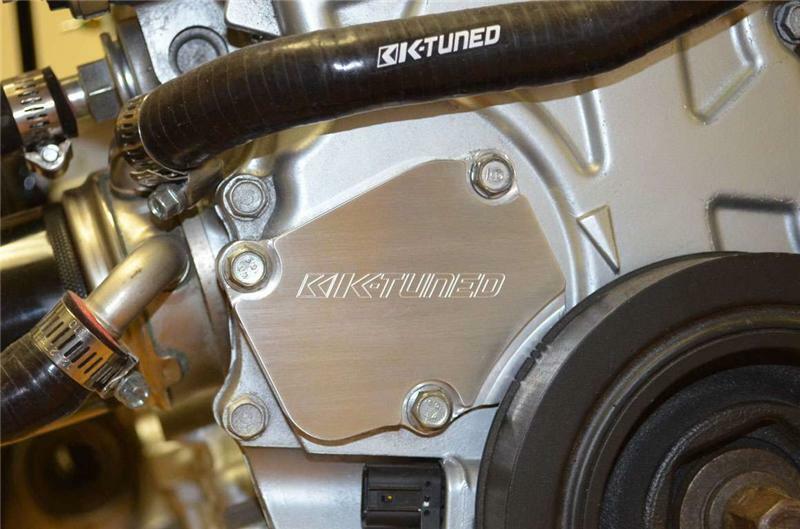 It is a very good idea to inspect your tensioner occasionally for wear or damage because a tensioner failure can completely ruin a good engine. Simply put, the timing chain tensioner holds the timing chain in place and the chain in turn keeps the engine at proper timing. 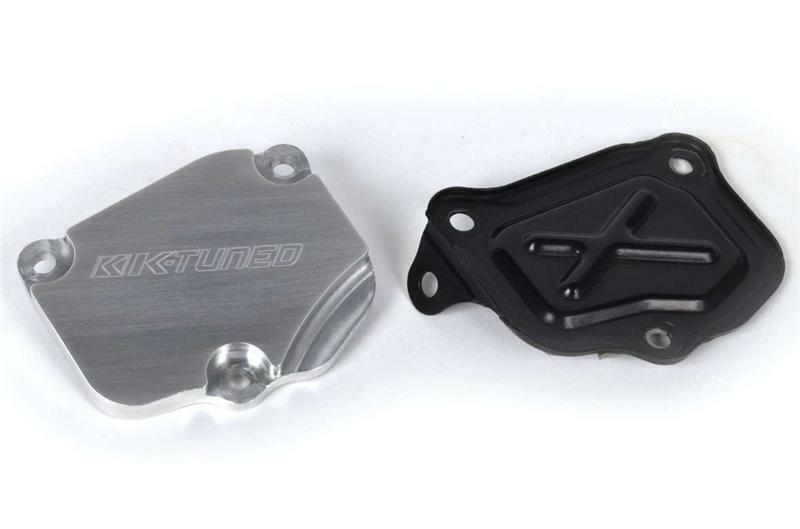 The K-Tuned Tensioner Cover Plate is machined from raw 6061 billet aluminum and comes ready to install with new hardware. To install it, remove the oem black cover and clean off all the sealer from the mounting surface for the last time. A razor blade followed by a green scotch brite pad and brake cleaner works well. After that, our bolt on plate can be installed and removed repeatedly with no sealer required.